Let me ask a question here before we start telling you about online book promotion. 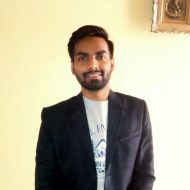 Are you one of those writers who have invested a lot of time and effort to come up with a REALLY GOOD BOOK but don’t know how to take it to the readers? Well, if your answer is Yes with a sigh, then you really need to read this complete and you will get an opportunity to actually reach thousands of readers very easily. So let’s start. According to a research, 96% of the new authors do the mistake of thinking that a ‘Good Book will sell itself’. Believe me, this mistake can ruin your writing career even before it begins. So, now the question is what you as a writer should do apart from writing a Good Book. The answer is online Book Promotion. There are a lot of guides available online for book marketing. Do they work? Not actually. When most authors read this word ‘book promotion/marketing’, they think of flooding the internet with the link to their book and burst spam emails to everyone and anyone they can. Well, this is the second fatal mistake you do. This not how Book Promotion and marketing work. Let me tell you the right and legit way of online book promotion with proven statistics and results. 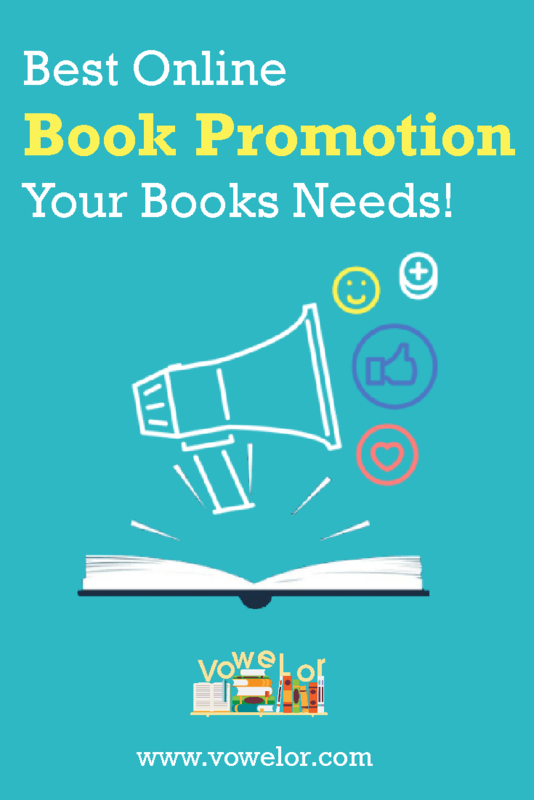 After a lot of research on reader’s community and writer’s needs, Vowelor came up with a strategic online book promotion service – Vowelor Author Program. With all the facts and figures we got, we can tell you proudly that, this is the best book promotion service that your book needs! You must be thinking how Vowelor Author Program can help in promoting your book online and delivering visible results in terms of book sales. So, let me explain how this works. Now, let’s take a look at each of them separately and understand how these can actually help in promoting your book as well as you. A genuine book review is the very first milestone of book promotion. Whenever an honest review appears about your book, it speaks a lot about your book to your potential readers. At Vowelor, we give a chance to all the authors including new writers as well. As a part of our book promotion strategy, we write a detailed and honest book review on our website. The review is written with keeping in mind to outline all the goods and bads of your book. What does a book review on Vowelor covers? Detailed Review of Your book. Honest Opinion from a reader’s point of view. Star Rating highlighting the main aspects of your book. Short bio of the author. A direct link to Buy your Book. Such a mindfully written review gives the right insight of your book and attracts more readers towards it boosting your book sales directly from our site itself. Check out book reviews by Vowelor. But only getting a review isn’t worth unless it reaches a large number of audience. 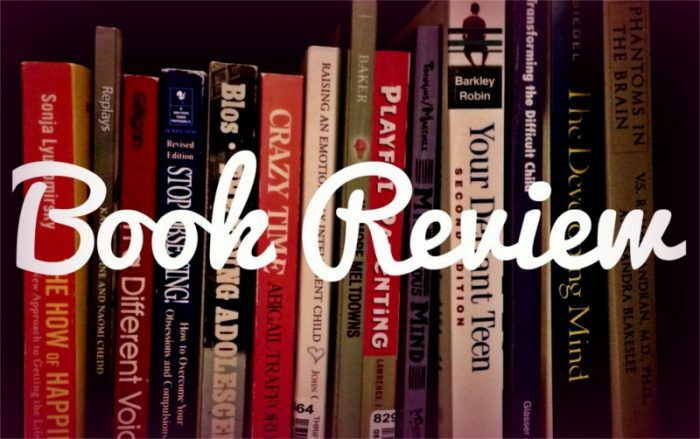 The reach of book review defines the success of your book. That’s where the second way of our book promotion service comes into play i.e. Strategic Book Promotion. Talking about online book promotion, the strategy is the key to reach the maximum readers. While designing Vowelor Author Program, we kept in mind the strategies to maximize the reach for the authors. Vowelor.com website has a monthly reach of more than 30,000+ readers visiting the website to find out new books. That’s what you need to kick-start your book promotion. There are two main tactics we implement for your book’s online promotion on the website for best output. 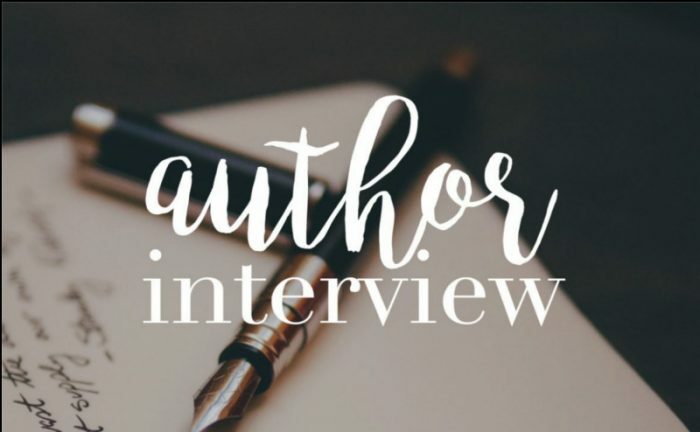 Author interview – During our research, we found it is very necessary for a reader to connect with the author and know all the backstory for actually buying his/her books. It is seen that Authors who open up well with the readers are more likely to create a good following. And best way to have it done is an exclusive Author Interview. As a part of our online book promotion service, we give the authors a chance to express themselves in front of readers in an interview, which is published on the Vowelor wall. An interview is also a great way to share your idea behind the book and why the reader should actually buy it and read it. Subscriber Emails – Emails are not dead if done properly. Like we told you earlier, sending out enormous emails for book promotion for everyone does not work. But, if it reaches a right person, then there are fair chances of better conversions. And Vowelor’s subscriber list of more than 1000 readers is all you need to start with. In this second level of Online Book Promotion, we send your book review as well as your interview to all our subscribers who are already avid readers head to toe. That’s a clear win. After this second stage, comes the most important step of online book promotion – Social Media Promotion. And Vowelor Author Program has this covered for you. Let’s have a look. Social Media is without a doubt the best way to reach out to the readers and that’s why it is the most important step of Online book promotion. But again, as we told you earlier, Book promotion on social media DOES NOT mean spamming the whole internet with the link of your book. Doing this not only creates a bad impression on the reader but it also portrays you as a spammer. That’s not what you want after writing a really good book. Do You? What you need is to reach the correct set of people that are actually interested in reading your book. But where you’d find them. Well, leave that to Vowelor. The collective social media network of Vowelor has a strength of more than 60,000 readers and writers from around the world. In this third level of Vowelor Author Program, we promote your book on all the major Social Media platforms i.e. Facebook, Twitter, Instagram, Pinterest etc. We have already worked with a number of Authors who have benefitted themselves with our best online book promotion service – Vowelor Author Program. Each of them have had a good overall impact on their book sales and eventually attracting more reading to their books. Have a look at the following authors and their books who have already appreciated our online book promotion and our platform too. How to Apply for Online Book Promotion? All the authors, especially newbie authors, are welcome to apply for Vowelor Author Program. All you have to do is to choose the level of the promotion below and leave all the rest to us. With our proven book promotion strategies your book will definitely reach more readers and open up great opportunities for you as a writer. Step 1: Choose any one from our Online Book Promotion plans. Step 2: Fill out the Request Form below with the required details. Step 3: Vowelor team will get back to you as soon as possible. How is this different from any of the others promoting THEIR promotions packages? I don’t see much difference in your explanations. They’ll probably need you to contact them. If they put out a price tag, chances are you’re gonna think it is “too much” and never come over here again. It’s a basic customer retention technique. Also, what were you hoping for when you ask “what’s the difference?” Goodreads and other book clubs do the same. I mean, isn’t uniqueness overrated? At least, over here they are willing to interview the author that will create an online reference that can be used to create a Wikipedia page, thus building the momentum of success for the first-time author. You can’t always have Daniel Steele-type of success rate, so you gotta take what you get! I am cautious whenever a service asks for the customer to commit/ sign up and then does not provide pricing. Is there any way to better understand pricing. As a new author, I have been repeatedly warned about services that charge several $1000 for similar services.